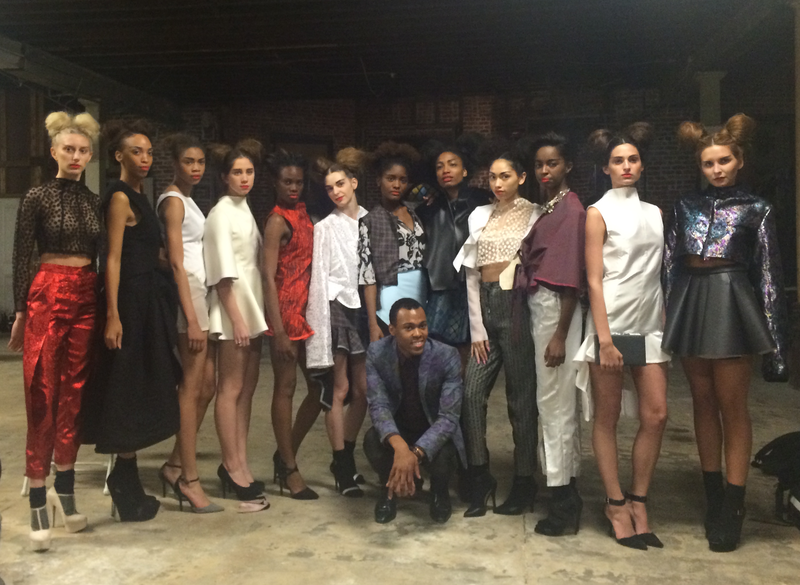 Christopher Rogers with models after his FW’14 show during NOLA Fashion Week’s 7th season. The New Orleans scene hasn’t changed much in the past couple hundred years. Bourbon Street remains decadent and lively through the centuries, the French Quarter still represents the heart of the city, and locals are still as vibrant and loyal to their home as ever. The food remains spicy, and the weather will still melt your makeup off. So what is changing in the city? New Orleans now hosts one of the largest fashion weeks in the southern United States, and people across the world are taking notice. Models during Noel Martin’s FW’14 NOLA Fashion Week show. “In 2011, I showed up to Fashion Week as a 14-year-old with all of these older people and my friend,” said Ashley Monaghan, 18, of her first experience with New Orleans Fashion Week. Monaghan, who now works as a model coordinator for NOLA Fashion Week, remembers immediately falling in love with the experience. The very next season at age 15, Monaghan put in an application. “The first season was at the Ogden Museum. It’s really beautiful,” Monaghan remembered. “It’s a smaller space, but that was okay at the time because we had a smaller audience and not a lot of designers. Monaghan said she didn’t expect NOLA Fashion Week to gain so much publicity in the past season, but it’s happening despite her disbelief. Christopher Rogers, 20, a Baton Rouge native who now attends Savannah College of Art and Design, showed his second collection at Felicity Church under his own label, Christopher John Rogers, this spring. 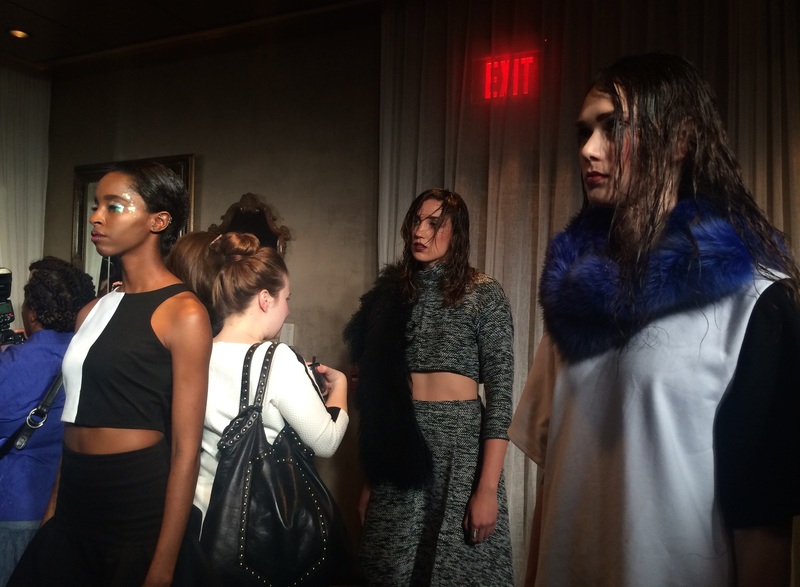 His line closed a show that debuted three other emerging designers from Louisiana State University. Rogers said he feels like NOLA Fashion Week, which was started by Andi Eaton in the spring of 2011, gets better every season. As NOLA Fashion Week grows, it gathers more contributors but chooses to remain an outlet for exclusively southern designers. Because NOLA Fashion Week showcases and debuts only southern designers, it steers away from the typical runway style of larger fashion weeks. One of the most visibly different aspects of NOLA Fashion Week besides the venues is that, unlike other fashion weeks across the world, a large portion of female models used are black. Monaghan says this is not a conscious effort to be progressive, though. Rogers said that he thinks New Orleans’ history and geography play a large part in model casting. Johnson said that participation in NOLA Fashion Week has helped models get signed to agencies like Ford Models in New York and appear on America’s Next Top Model. Darian Ellis, cast in season 19 of America’s Next Top Model, poses backstage after Christopher Rogers’ show. Quinn Kendall, 15, who modeled for Noel Martin and Jennifer Nina Evans this season, said that most of the models were either freshman or sophomores in college. Despite her youth, Kendall did not feel she was treated any differently from the other models, though. Quinn Kendall in a black dress and blue fur throw by Noel Martin. Rogers and Kendall both agreed that NOLA Fashion Week is very professional in its treatment of designers and models. Johnson said that models under 18 need parental or guardian permission to participate, and models under 16 are required to have an adult present with them at all times. While there are other fashion weeks in Louisiana, NOLA Fashion Week garners the most clout, with nearly 6,000 likes on Facebook and close to 3,000 followers on Instagram. Monaghan said she wishes NOLA Fashion Week could join with the other fashion weeks in Louisiana instead of dividing up valuable resources like models, designers and hair and makeup artists. “I wish we could join powers and come together to make one awesome event,” Monaghan said. Who knows if that will ever happen, but for now, even with divided resources, NOLA Fashion Week is taking the South by storm. Christopher John Rogers’ FW’14 final walk-through in Felicity Church.